I can’t believe I can finally say this: Doctor Who is back!!! Hasn’t it been ages? 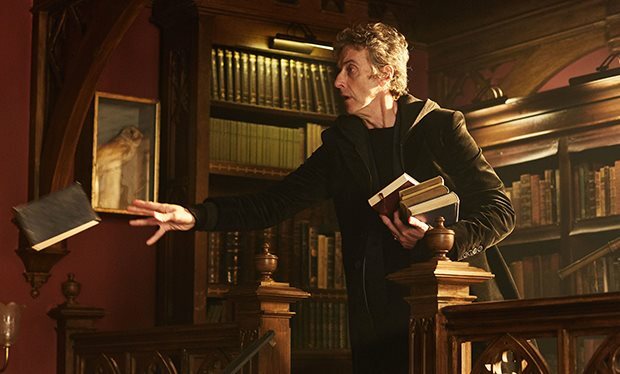 It’s been a year and a half since we last had a regular episode – remember when Clara wasn’t the Queen of England yet and wiped the Doctor’s memory? Like I said, ages. Since so much time had passed, I was wary: would I like the new companion? Had all these months taken their toll on my love for Doctor Who? Luckily, the answers were yes and no. 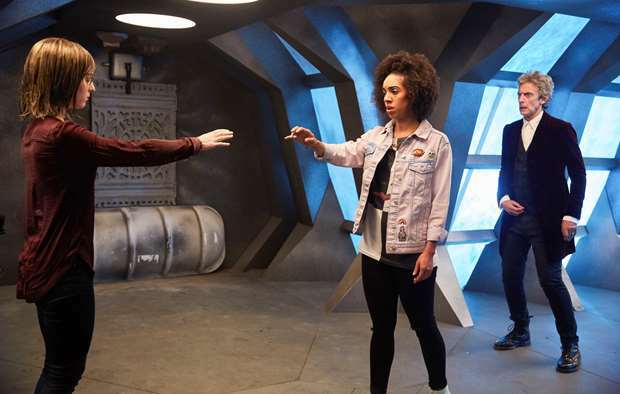 Let’s start, please, with the confirmation of how cool Bill Potts is. Not only does she begin her storyline treating her sexuality on TV as it should, that is as the most normal thing in the world, but she also asks all the right questions and freaks out like a normal human being – I mean, why does the TARDIS’s name come from the English language if it’s alien? But it was clear from the start that the Doctor and Bill would get along just fine. Sure, he has spent some decades as a university professor, laying low to “keep a promise” and watching after some vault with Nardole. It is only after he decides to tutor Bill, who works at the canteen, that things start to change. Sure, a girl whom Bill likes gets sucked by a super intelligent oil and decides to follow Bill all around the universe because of a promise she’d made, but as it happened with ‘Rose’ back in 2005, ‘The Pilot’ was there to introduce us to this new character we will come to love. And so far, the show is well headed. 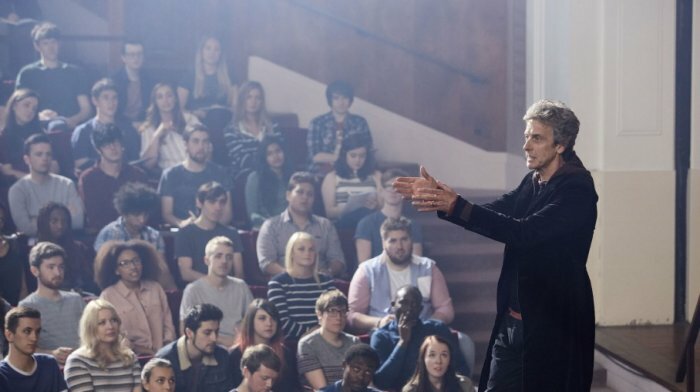 This first episode served to lay a path in front of us to experience the journey of Bill and the Doctor (and Nardole), and frankly, I can’t wait to see all the questions Bill is going to ask about the show’s inconsistencies. -Nice touch to put Susan’s photo along with River’s. I hope there are more references to them. -I would have liked Bill to mention to the Doctor how she’d seen him in the photos taken to her late mother. I hope it comes back later in the season. -I liked the music from the action sequences, very Pirates of the Caribbean, but the music from the first scene was too loud. -And nice musical reference when Bill asks the Doctor about having his memories wiped out and Clara’s theme subtly begins to play. Sniff. -Nothing like talking to someone to suddenly see through the window that they are outside running who knows where.